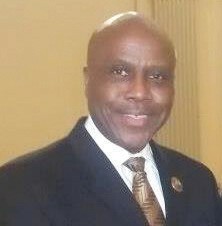 More than 400 members will convene in the City of Savannah beginning Thursday, 21 November 2013 for the 58th Anniversary Georgia District Convention under the leadership of Savannah native, Ellis B. Albright (Beach High, Windsor Forest and Savannah State). 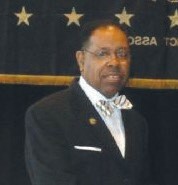 Also in attendance will be Alpha Phi Alpha’s 34th General President, Mark S. Tillman of Detroit, Michigan and Savannah native and current Atlanta resident Ronald M. Natson, Sr. (Beach High, Jenkins and Savannah State) who currently serves as the 26th Regional Vice President of the fraternity’s Southern Jurisdiction, which includes the State of Georgia. and Xi Tau (Georgia Southern University. Both Albright and Natson were initiated in 1975 through the Delta Eta chapter. The convention begins on Thursday night with a leadership meeting and dinner before being officially welcomed to the city on Friday morning by the 65th Mayor of Savannah, the Honorable Edna B. Jackson and the 13th President of Savannah State University Dr. Cheryl D. Dozier. The convention will officially end on Saturday night following the Miss Black & Gold Scholarship pageant. the distinction of being the longest serving State Director. 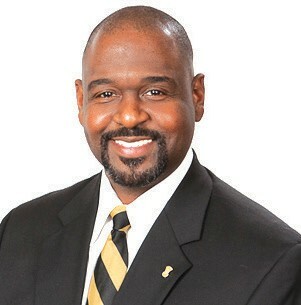 Southern Region Vice President Natson will speak on Saturday morning along with the Assistant Regional Vice President Ismael R. Brown of Orlando, Florida. District Director Albright will address the convention on Saturday following the address of the Georgia District Assistant District Director, Corenza D. Morris. Events open to the public includes the Annual Step Show on Friday night in the Wiley – Willcox Gymnasium on the Savannah State campus beginning at 9:00 pm. The show determines the best stepping Alpha chapter in Georgia and the Annual Miss Black & Gold Pageant held in the grand Ballroom of the Hyatt beginning at 8:00 on Saturday night. Tickets for both events may be purchased at the door.